Services are scheduled for 9:30 a.m. Friday, July 13, at Our Lady of Grace Catholic Church for Johnny B. “Grasshopper” Huerta of Artesia. Huerta, 69, passed away Saturday, June 30, 2018, in Lubbock, Texas. Fr. Vijay will officiate the services. Pallbearers will be Jaesh A. Huerta, Ray H. Segura, Zachary Munoz, Steve Catano, Abel Montez and Ricky D. Honorary pallbearers are his grandsons and other family members. A rosary will be recited at 6:30 p.m. Thursday at Our Lady of Grace. Johnny was born Oct. 20, 1948, in Artesia, the son of Agapito and Erlinda (Brizeno) Huerta. 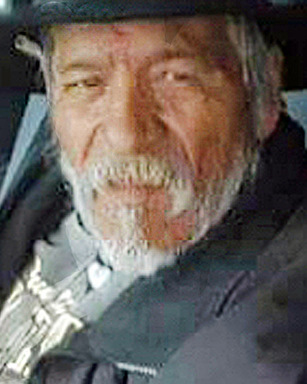 He was a longtime resident of Artesia. He worked in construction and was also a supervisor at the Roswell and Artesia airports. Johnny was a member of Our Lady of Grace Catholic Church and loved hunting, fishing, dancing, walking, bike riding, and spending time with all of his family. Survivors include his mother, Erlinda Huerta, of Artesia; sons Greg R. Estrada of Artesia, Jaesh A. Huerta and wife Stephanie of Odessa, Texas, and Johnny Angel Huerta of Albuquerque; daughters Stephanie Estrada of Albuquerque, Karyn L. Estrada of Artesia, and Shabriel Huerta, Cipriana Huerta and Felicia Huerta, all of Odessa; brothers Raymond Huerta, Roberto Huerta, and Chris Huerta and wife Linda, all of Artesia; sisters Francis Perez and husband Jose of Roswell, Rosa Salas and Hope Huerta of Albuquerque, and Nancy Franco and husband Joe of Artesia; and numerous grandchildren, great-grandchildren, nieces and nephews. He was preceded in death by his father; brother Roy Huerta; sister Sara Huerta; nephew Michael Salas; and niece Bianca Sosa. “Now may the Lord of peace himself give you peace at all times and in every way. The Lord be with all of you.” II Thes. 3:16.